Imagine yourself sailing on the same waters as the legends of History. 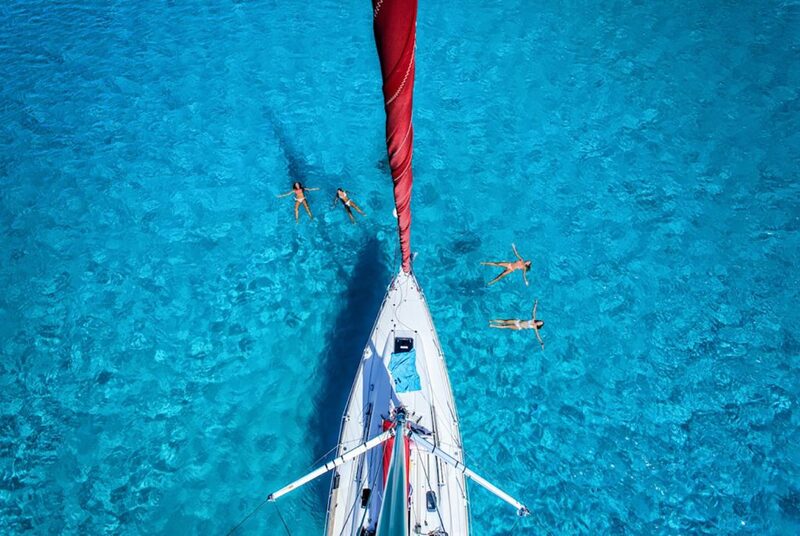 Sail from islands to islands in search of little corners of paradise. Dolphins, vineyards, fairytale forests and crystal-clear waters … In these forgotten archipelagos, we are at the end of the world. With friends or colleagues, immerse yourself in the history of the nuggets of the Adriatic Sea and get on board for a cruise aboard a catamaran « On the Maritime road of croate wines », an exceptional journey at sea but also on land. Croatia has two different climates. On the coast, the climate is Mediterranean : winter is warm ant summer is hot. If you are planning a trip around croate islands, the best period is from May to September. The weather is perfect and the water is warm enough to swim in. The oldest Croatian city : the Hvar island. Brac island, the tropics near the continent. The fishing village whose history has completely stop in times! Taste wine grapes from indigenous grapes varieties on the catamaran or in the estates. Admire Korčula and its dark pine forests, its small beaches … Peljesàc, the longest peninsula in Dalmatia, Ston where you can be astonished by its huge battlements, Mljet, the greenest island withs its Mediterranean vegetation and its crystal clear water. Every day, we will offer you a Masterclass aboard a catamaran to make you discover a region, a designation, a croate estate. You will enjoy a tasting on board with experts and wine professionals. You will discover the history of these islands, vineyards and cities through this crossing on the Adriatic Sea. A whole universe linking two passions, dedicated to travel and wines, accompanied by experts who will be happy to guide you throughout this unforgettable cruise.